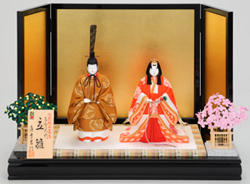 This standing hina dolls are made realistically. 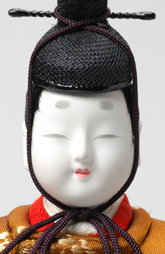 The Emperor doll wears the same formal costumes as the Japanese Emperor. 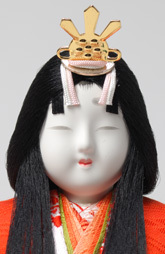 Unlike other standing hina dolls, these dolls are standing on the tatami mat and trees of a mandarin orange and cherry are decorated both sides of the dolls, which enhance the formalities.